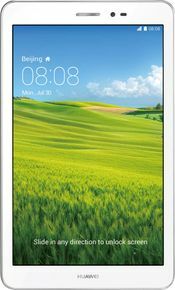 Huawei has recently entered the tablet market in India as here is another product Huawei, Honor T1 Tab from Huawei. It’s a single sim, voice calling tablet with 3G support. Huawei Honor T1 Tab best price in India is 10,000 available on flipkart.com. And following are the Huawei Honor T1 Tab specifications and review. Honor T1, a sleek, stylish and portable tablet that comes with 1.2 GHz Quad Core Processor, 1 GB RAM. Internal memory is 8 GB, and can be expanded using micro SD card up to 32 GB. Huawei Honor T1 Tab supports 3G Dongle and also possesses 4800 mAh battery takes care of the power needs of the device. It also has 1 GB of RAM. The platform of Android 4.3 Jelly Bean OS makes it fast and reliable. Tasks are performed easily due to these features. Huawei Honor T1 Tab includes Bluetooth, Wi-Fi, dual sim support and video calling with 3G. The Huawei Honor T1 Tab is enriched with a great touch and display settings, powered with a 7-inch capacitive touchscreen with multi-touch and a resolution of 800x1280 pixels. It also has a 16M color support. A 5 MP rear camera and 0.3 MP front camera are also existent on the device. The videos are quite clear, as it possesses 720p HD video capture. Buy Huawei Honor T1 Tab online for a price in India of around 9,999. For detailed Tab online price comparison, go through various online shopping e-commerce websites. 1.2 GHz quad-core processor and the high internal storage are some pros for the device. The device overall is a decent call in its price. Some others tab of this range like Micromax Funbook 3G P560, Micromax Funbook Duo P310 are worth comparing. A tab with great features and excellent build quality! This tab comes with a great look and bestowned build quality. The tab is availabe under the price of 10k and is worth it. 1.It comes with emotion ui 1.6 which gives the user good and user friendly interface.and it captures very less inbuilt memory. 2.Has 1gb ram ans works well with emotion ui intergace. 3.Has 3g and 2g support with calling facility. 4.Has android 4.3 jeally bean. 5.Has radiant and bright display of 1280×800px with 189 ppi. 6.Rear Camera of 5 m.p. and front VGA camera. 7.big battery life i.e 4800 mAh. 9.Has DLNA app pre installed so that you can play your videos and multimedia on other devices.